I met a student who is doing her B.E in Electronics Engineering in Bangalore last week in our office. She is doing one of our online project based courses and came to our office for some clarifications. Our online courses are project based – which means students have to build a project as part of the course with the kit we send to the student’s home. This student stays quite close to our office so she chose to come to our office to clarify some of her doubts. I had a general conversation with her and tried to find out how our course is helping her. While talking to her, the conversation went in depth about how students are not able to build good projects although they know that building projects is very important. She told me how some of her friends spent a lot of money and wasted time in building some projects by searching online but they were not successful as they faced so many problems and could not find a solution. I also got to know what kind of other problems students face while building projects. One more important mistake students are doing is during the selection the project topic. If students select a wrong project, they are going to face lots of problems in their next steps. I found out that selecting wrong topic is the biggest reason why students fail to complete their projects successfully although they spend a lot of time and money. So I decided to write this article to help such students and suggest some of the latest electronics project ideas that they can work on. The era of electronics started with the invention of the transistor in the year 1947 and silicon-based semiconductor technology. After almost 7 decades we are now surrounded by electronic devices and we can’t even imagine a day without them, as they have become a part of us (even the device which you are using to read this). From the day semiconductor technology was invented, the electronics revolution started. So it is natural that the devices that we are seeing today may go extinct in some years, such is the pace in which the electronics technology is advancing. Internet of Things (IoT) is an upcoming technology which is going to revolutionize all the electronic gadgets that we see today in the coming years. This particular electronics project is an application of Internet of Things (IoT) Technology. The main theme of this electronics (ECE) project is to develop a device that can monitor the moisture content of the soil and turn on the water pump automatically whenever the moisture drops below a threshold value. This device can also be programmed to send the user an update via email regard to the moisture level changes from a remote location. You can use either an Arduino Uno or Raspberry Pi board to integrate this device onto the cloud. If you are using Arduino Uno then you need to use a WiFi module to connect the device to Internet, whereas Raspberry Pi will not need one as it is integrated internally with a WiFi module. The moisture level can be detected by using a Soil-Moisture sensor and it can be integrated on to the Microcontroller which will act as the Brain and controls the water pump. This electronics (ECE) project is also an application of Internet of Things (IoT). Reports states that the IoT Technology is going to transform into a multi-trillion dollar market and more than 50 billion devices will be connected to Internet using this technology by 2020. So building projects on this technology will help you to understand it better. By doing this ECE project you will develop an electronic device that can sense the temperature/ humidity changes and send updates to the user from a remote location. The user will get an email and sms update based on the threshold value. For this electronics project also, you can use either an Arduino or Raspberry Pi platform to build it. For Raspberry Pi you need to use Phython programming whereas for Arduino you can use simple Arduino Programming but you need to integrate a WiFi module to Arduino to transform it to an IoT device. For detecting the temperature/ humidity change you can make use of a DHT sensor and you can then integrate it to the board to send data online. This particular electronics project is actually a solution to a real-life problem statement. We have been hearing lot of news lately regarding the number of people losing lives, vehicles getting into accident at the unmanned railway gates. 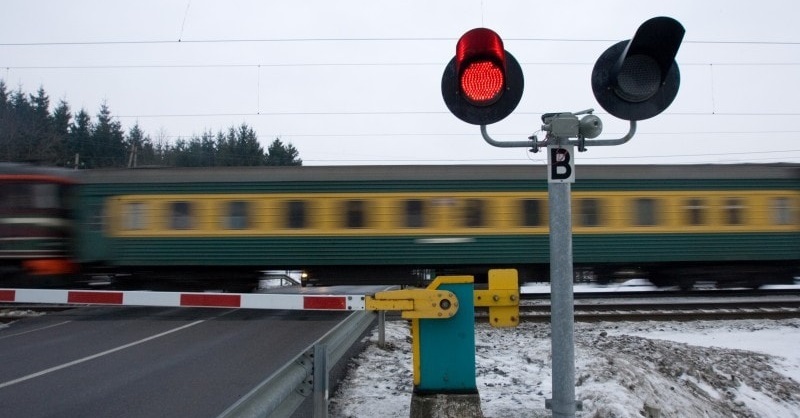 This electronics project gives an efficient solution to this, through which the railway gates can be programmed to open and close automatically by sensing the arrival of train. As it is addressing a serious problem that we are facing, being an electronics engineer you should do this project to understand the technology behind it. This ECE project works by 2 simple mechanisms. First an IR sensor is used to detect the arrival and departure of the train at certain location from the railway gate and will send the data collected (as signals) to the micro-controller. Then a micro-controller is used to detect these signals and facilitates the operation of motors which will then open/ close the gate. You can use IR sensors for detecting the train movement, micro-controller like 8051, 8052, Arduino Uno to act as the brain of the system and D.C motors to operate the railway gates. Animatronics hand project is an application of mechatronics technology and it is being widely used in industries to mimic the action of animals and human through electronic devices. This particular technology is being widely used in the film industries. The main theme of this electronics project is to record the movement of the hand and send the signals to an animatronic hand which then mimics the movement. From logistics service to tracking your taxi/ bus, all of these use GPS technology to pinpoint the location. Knowing this technology will help you to develop skills on them and build more innovative projects when you progress in your career. By doing this electronics project you will build an electronic device that can track the location and send an update to the user as an email/ sms. This device can be integrated into almost all the vehicles/ locomotives and has its application varying from tracking the location to anti-theft modules. Robotics is being widely adapted in the industries of today to increase their operational efficiency. Robotic arm is one such mechatronics application that can operate autonomously to handle the industrial process that needs more physical effort/ contagious in nature. By doing this electronics project you will build a Robotic Arm that can be controlled by human hand gestures to carry out actions like pick/ place. The LED displays that we see at different locations like Railway Stations, Bus Stands, Markets etc., is an application of this project itself. This particular project works on a simple principle that whenever we see images in quick succession, it creates an optical illusion in our brain allowing us to detect motion. Through this electronics project you can build a LED based POV display using an Arduino. The display when rotated at high speed will magically show the letters that are pre-programmed. RFID is a technology that is used for exchanging information wirelessly with the use of electromagnetic fields. The application of this technology is endless, from authentication system for security purpose to authentication in Toll-gates. Through this electronics project you will build an electronic device that serves as an authentication system to open the gates for authorized users only. The system that you build can also be used to facilitate automatic closing and opening of gates. Biometric devices are employed for the highest level of security as they involve the scanning of biological organs like eyes, fingers, etc,. Generally these devices will have a scanner that identifies the pattern of the organ and a processing unit, which compares them with pre-stored values for allowing access. By this electronics project, you can build a finger print based Biometric Authentication system using an arduino board that can allow or deny access. Wearable Technologies are devices which can be worn by the user & simultaneously process and display relevant information on the wearer. Wearables are considered as the biggest innovation in technology since the smartphone – and the possibilities are endless. 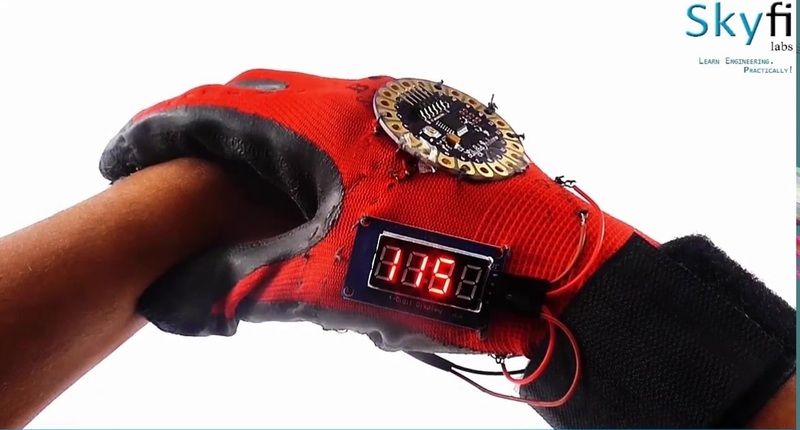 Through this electronics project you will build an electronic device that can be worn and used to display the heart rate of any individual on the display mounted on the glove. Can I use the above mentioned electronics (ECE) project topics for mini/major projects? Ofcourse, you can use the above mentioned electronics projects to do for your engineering curriculum. Since the above electroncis projects integrates a latest technology, they offer you a lot of scope for learning and understanding the innovative technologies. Remember, the main objective of doing electronics mini or major projects is to strengthen your learning of engineering concepts. So always choose electronics project topics that offers you a very good learning opportunity. In case you are interested to do innovative electronics engineering projects but don’t know where to start, Skyfi Labs has developed Online Project Based Courses that you can use to build your projects in the best way possible. Our Learn-Do-Review Methodology ensures you learn while you build your mini or final year projects. Kits needed will be dispatched to you within 24 hours and you get instant access to the course content. Using the kits and course content, ECE students can build super awesome Electronics Engineering Projects! 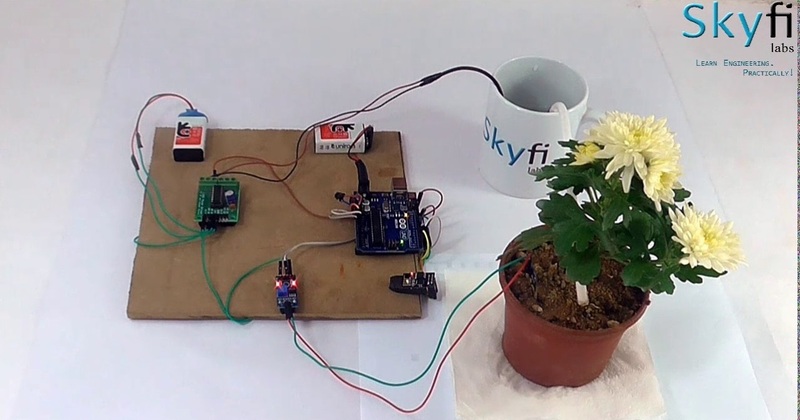 Build Innovative Electronics (ECE) Engineering Projects using Skyfi Labs Online Project Based Courses. Click here for more details.